It was just a matter of time before decks became round instead of square or rectangular. Think about it: trees are round, stones are round, fruits and vegetables are round, why not decks? Curves in decks are trending now, and happy we are to see it. In an age in which cookie-cutter houses, cars, TVs and iPods proliferate, it’s refreshing to see homeowners thinking outside the (square) box. There are dozens of benefits to curved decks, not the least being aesthetic. If you are thinking about adding a deck to your landscape a cured option could be right for you. Are There Really Advantages to Curved Decks? How is the Wood Bent? It is entirely easier to draw an idea for the rounded deck on paper than it is to actually build it. Planning is the keyword here. If the professional builder is using real hardwood, the process involves heating the wood, making tiny cuts in the wood, using joists and cantilevering the whole thing. It is much easier using engineered wood, because it responds better to heating. Synthetic and composite woods comprise reclaimed wood in addition to recycled polyethylene. These respond to heat and bending much better. While the wood is malleable, it can be bent into any shape the homeowner wants. The boards will retain their shape for good. Be aware, though, that this process takes time. Most builders can only process perhaps six to ten boards per day. Figure on the process taking longer when the builder uses real hardwood boards. Homeowners of upscale homes want a deck bespeaking their lifestyle and good taste. We will help you plan a wonderful curved deck on your home, so please contact us for more information. Fences don’t have to be solid layers of wood or iron to be solid. 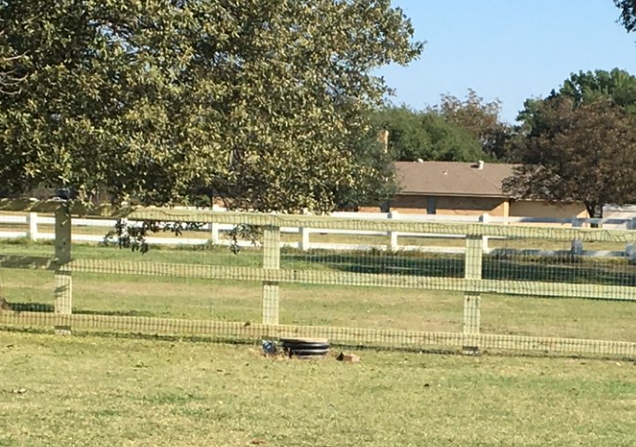 In fact, split rail fences are the perfect combination of a durable barrier to keep animals pinned in and an open layout so you can easily scan and maintain your acres of land. Here are some advantages of choosing split rail fencing for your property. Split rail fencing is affordable and efficient. Because split rail fencing is made of secured horizontal posts with plenty of space between each rail, you have to purchase much less material than with traditional fencing. If you need a fence that requires very little maintenance to mark the edge of your property, split rail fencing is the perfect choice. You can easily modify split rail fencing for smaller animals. While horses and cows can’t slip through the gaps in the rails, smaller animals like chickens can. Stop any potential escapes by lining the fence with wire. The wire uses the rails for support, so this is an easy change that adds a strong, finer barrier. It also means you can still survey your property line quickly. Split rail fences are easy to maintain. Because the wood is treated to be water- and UV-resistant, the rails should last a lifetime. All you have to do check the fence for leaning rails and physical damage. 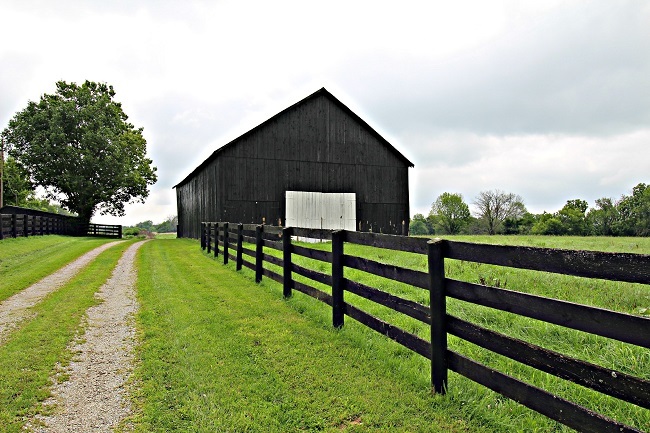 Different fences fit different circumstances and split rail fencing is the best choice for lining large areas of property and for pinning farm animals. Go to Philip’s Fences here to find the right wood for you. Garden fences come in a variety of styles and can serve several functions. Two of the most common reasons for fencing a garden are the aesthetics and protection, but fences can certainly be added for other reasons as well. It’s generally best to do a bit of research beforehand so you can be sure to get the best type of fencing for your needs. Why do you want a garden fence? What do you need the fencing to do for you? Whatever style of fencing you choose, having an area mapped out in such a clearly visible way from an early stage will help you plan out your garden more effectively and help you avoid under- or over-estimating the space you have to work with. Whether you spend hours in the garden or only really visit it when something needs to be planted or picked, hemming it in with a decorative fence that compliments your house will not only tie the spaces together visually, but may even provide a small boost to your mood, especially if you choose a style you really enjoy. Of course, not all garden fencing has to be purely decorative. There are practical reasons for it as well. While simple decorative fencing isn’t likely to deter larger animals, it will be a deterrent toward smaller pests like rabbits. If you’re looking to keep out animals that are closer to deer-sized, then you may need to invest a bit more money in your fencing and make sure it’s the proper height to discourage hungry wildlife from jumping it. If you have a garden that could use a decorative fence, or one that just needs a bit of extra protection from the local wildlife, contact us at Philip’s Fences. Do Decks Increase Your Home’s Property Value? There’s a boom in the Texas housing market, and that means it’s a great time to sell or rent. While demand alone is driving housing prices up, many people are also wondering if adding features like a deck improves a house’s value. The answer is probably not, but that’s a good thing. Property value is what your country or city has decided your house is worth, usually by aggregate data from your neighborhood and without an actual appraisal. This is the price that decides your property taxes, and adding features that increase your home’s value without giving you an advantage or bringing you enjoyment just costs you extra money. However, most appraisers don’t consider decks to be an addition that makes your property value go higher. What patio decks do, however, is increase your home’s sell-ability and curb appeal. 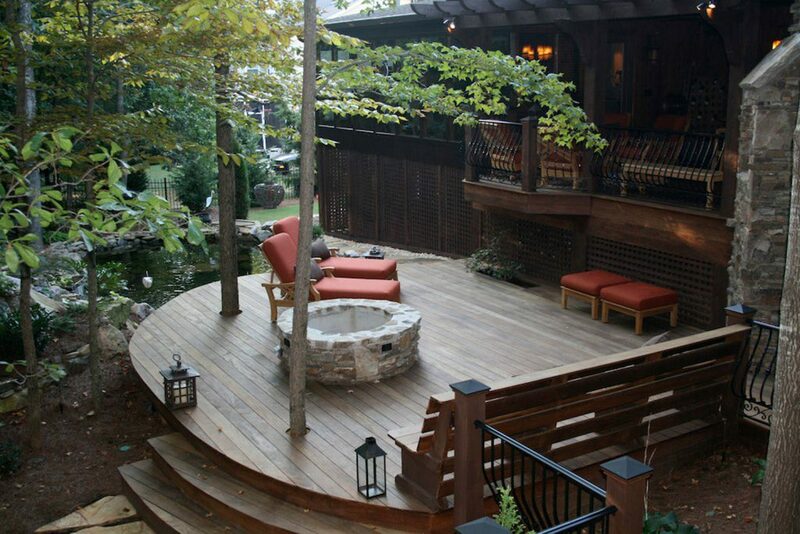 If your home is in an area with few decks, adding one gives you a memorable competitive advantage. If you add one and most other properties in your area already have one, you might not be giving yourself an advantage but you’re certainly removing a disadvantage. Depending on the materials, size, and ongoing maintenance of the deck, you can either find a buyer that would have otherwise chosen a different house or increase your selling price irrespective of the county’s valuation. At the end of the day, your home’s property value is a baseline number you want to take into consideration as you rent or sell your home; it should act as a minimum rather than a guide. So if you want to build a deck, now is the perfect time to add to your home’s appeal without adding to your property taxes. Go to Philip’s Fences to get started. Why Choose a Split Rail Fence? Split rail fences are a simple, cost-effective, and aesthetically pleasing fence style suitable for a variety of projects. If you have a lot of land in need of fencing, or just want to add a charming, rustic look to your house, then a split rail fence may be exactly what you’re looking for. Calling to mind the traditional American west, split rail fences are light on material cost and labor since, unlike more standard ‘privacy’ fences, they leave a lot of open areas so as not to obstruct the view of the scenery around you. These fences can be constructed with either two or three rails depending on your desired look and are simple to install. 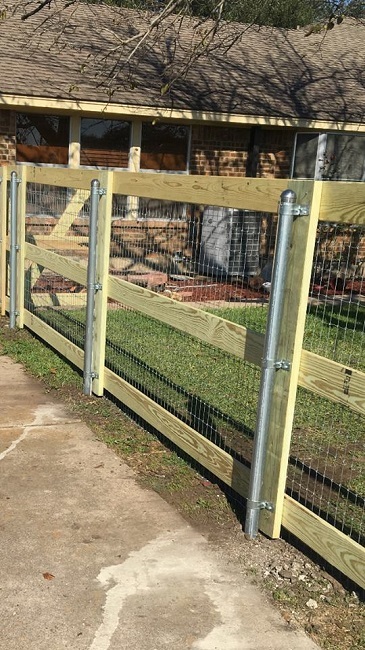 While such an open fence may not be completely ideal for those with small children or outdoor animals they would prefer to keep corralled, it can be easily modified with small-grid chicken wire to form a more solid barrier at the end of the property. This wire addition is also simple and low-cost to install. Split rail fences are also a great option for anyone with a lot of land to enclose. Building a solid fence around an entire farm would add up quickly due to not only the number of boards required but the labor needed to put everything together. 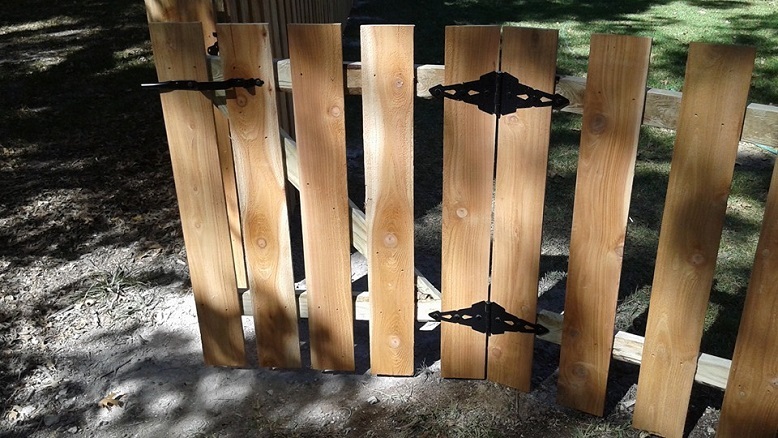 Split rail fencing requires comparatively few pieces and snaps together easily, keeping your costs low. 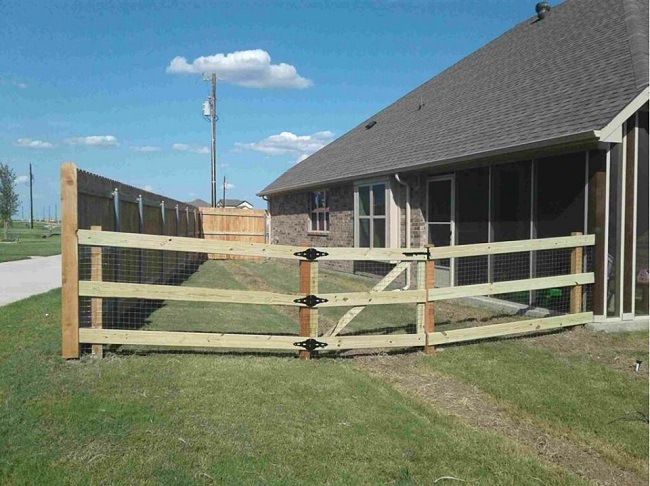 If you’re searching for a fence contractor in Ellis County, TX or the surrounding area, contact us at Philip’s Fences today! If you have pets or want to keep neighborhood critters out of your backyard, you need a strong fence. But soil can gradually erode away from the fence line, especially if you live on an incline or near a creek. Not only does that gap break the barrier, it could make your fence unstable if left untreated for too long. Here’s how to get rid of the gap and keep your soil in place. Build an underlayer of chicken wire. Sometimes it’s not erosion that’s the culprit: small burrowing animals confronted with a fence will simply dig under it. Make sure they can’t by folding a small width of chicken wire around the bottom of your fence. If it isn’t jammed tight because of a slight gap between the fence and the ground that might already be present, holding the wire in place with landscaping or small rocks and cover it all with soil. This layer will protect bare feet and your dog’s pause. Edge the fence line with bushes. Nothing holds soil in place better than shrubs and small bushes. Whether you want to edge the exterior of the fence with decorative shrubs in your lawn or you want to line the inside with plants that dissuade small animals, they will keep a grip on the soil. This is especially beneficial if you have a fence near your foundation, since holding the soil in place helps mitigate foundation damage. Your fence should do everything you want it to. That includes looking beautiful, forming a strong and durable barrier, and lining your property. Go to Philip’s Fences for more ideas about modifying and enhancing your fence. 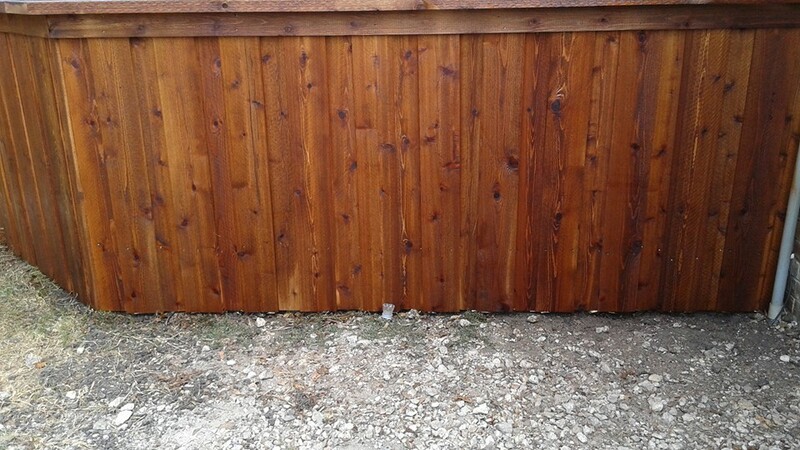 Spring is solidly underway, and now is one of the best times to get wood stain reapplied to your fence. Whether you want to spruce up your fence with a new color of stain or you want to maintain the rich coloring you already have, make sure you regularly revitalize the stain to lengthen the lifespan of your fence. How does restaining your fence keep it strong? Most stains include a waterproofing compound. Because your fence is left out in the elements year-round, the wood comes into contact with a lot of water. Eventually, this moisture can work its way into the material and start to weaken, warp, or rot the wood. This damage will make the panels start to give way, and replacing the posts is expensive. But getting a fresh layer of stain applied will repel liquids away. It stops sunlight from damaging the wood. The sun can do a great deal of damage to your fence, especially if you don’t protect it before summer starts. The UV rays can make it crack, which both ruins the look of the wood and makes your fence weaker. The stain, aside from deepening the color of the wood, also prevents discoloration. You can make your fence match your house’s color palette. Stains can deepen wood’s natural color or give it a different hue. Selecting a shade that highlights your home’s color pulls the whole look of your property together. Reapplying wood stain isn’t a yearly requirement. In fact, most quality stains can last for years while still giving your fence protection and beauty. Go to Philip’s Fences to find the color you want and to schedule a time. Do have small children? Do you have big dogs? What about friends in the neighborhood? If you said ‘yes’ to any of those, and even if you didn’t, then a backyard patio deck may be the perfect choice for you. Patio decks are a great addition to any home, especially if you love being outdoors but your schedule doesn’t allow for a lot of trail-walking, etc. It also gives your kids and pets a place to play while you relax and keep an eye on them. Patio decks and porches of all kinds used to be great gathering places for family and neighborhood friends. Why not bring a little of that back by making your backyard a space to celebrate birthdays, graduations, national holidays, and other happy occasions? 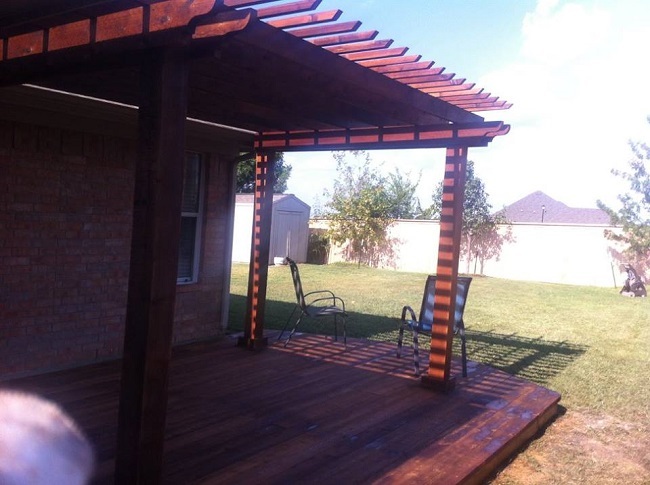 Are decks are designed to withstand even the toughest Texas heat and turn your backyard into a stylish and comfortable space to spend time. Decks are also great places to just relax and unwind with your family and friends. If you need a space for a grill or a hot tub, then a backyard deck is a solid option. They can be constructed from a variety of materials and in a variety of styles, so you can build a deck that suits your home well and matches your aesthetic. 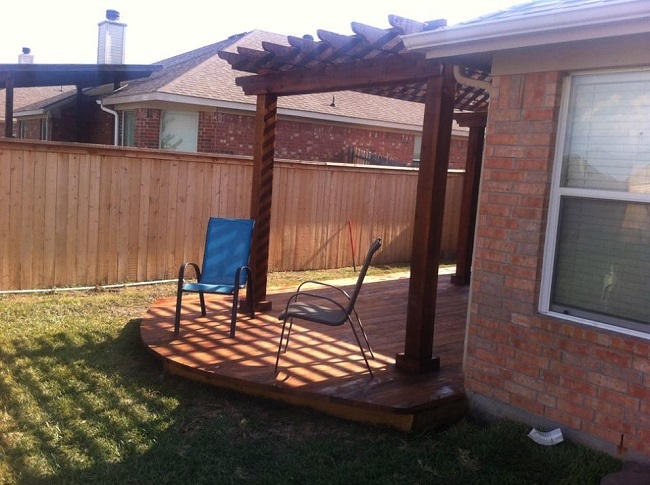 Are you considering adding value and beauty to your backyard by building a patio deck? Contact us at Phillip’s Fences today and we’ll help you turn your backyard into a stylish gathering spot for years to come. A split rail fence is made up of wooden posts spaced a good distance away from one another, creating an open, airy look that still gives the feeling of an area off-limits to the public. 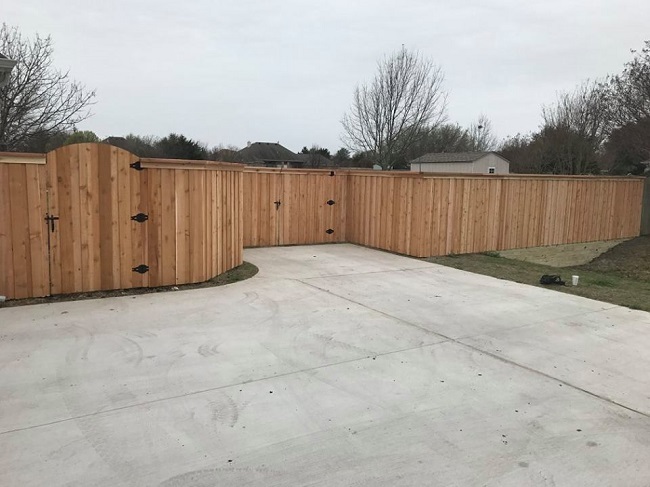 While this fence style isn’t usually used by people who want a more closed-off, private look, there are many advantages to this particular style fence. This is especially advantageous if you have a large ranch or farm and really just need a good visual reference for where your property line ends. A split rail fence also has the benefit of not blocking any of the natural beauty of the land. Since a split rail fence has a lot of open spaces in it, the cost of material is generally far less than it would be for a comparable length of fence in a different, more closed-in style. Don’t have a lot of lands but still want that ‘rancher’ feeling? Split rail fencing is a great choice for adding an aesthetic flair to a smaller piece of land. Having trouble keeping your garden free of small rodents? Want to deter large predators from invading your property? Maybe you’d like to provide more steady froth for plants and flowers? No problem! Just add some sturdy chicken wire to one side of your split rail fence. Have a fencing project that could use a professional touch? Contact us at Philip’s Fences to set up an installation or learn more about the range of fencing options we provide. Are animals ruining your garden? If you own a garden, you know how frustrating it is when your hard work is ruined by hungry little creatures. Here are a few tips for protecting your garden plants from being chewed on. Which animals are eating your plants? Look for signs in the soil to find out whether deer, rabbits or groundhogs are invading your garden. If you can’t figure it out and the culprits are never to be seen, you can try installing a camera. Spraying repellent on your plants may help keep the animals away. These repellents aren’t harmful to the animals, but they have a taste that they tend to dislike. However, animals can get used to them and may ignore the foul taste if they’re really hungry. Using a fake owl or scarecrow may help for keeping birds and even rabbits and groundhogs from your garden. However, they’ll get used to it after a while. You can try using moving devices that are activated when motion is detected. Some of these devices spray water to scare away animals. As you can see, the above methods are far from perfect. The best way to keep animals from your garden is by installing a fence. If deer are eating your plants, you’ll need a tall fence to keep them out. For rabbits and groundhogs, a shorter fence will do, but it should extend underground as well. This will keep them from digging under the fence. Need the perfect garden fence? Contact us today for help!